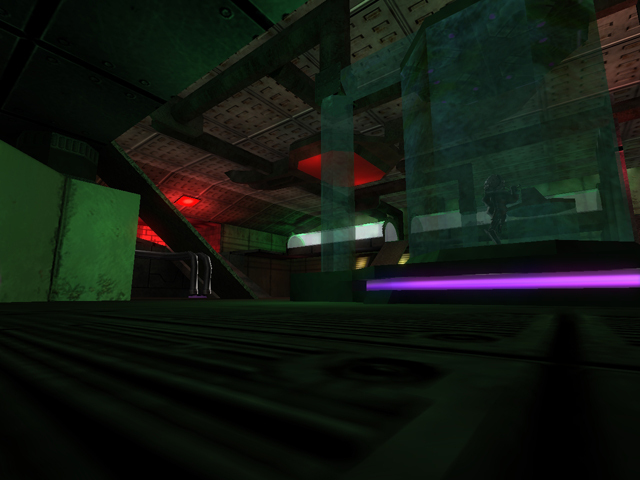 We are currently working on an online multiplayer FPS called "Trinity". You can visit the Trinity website here for more information. 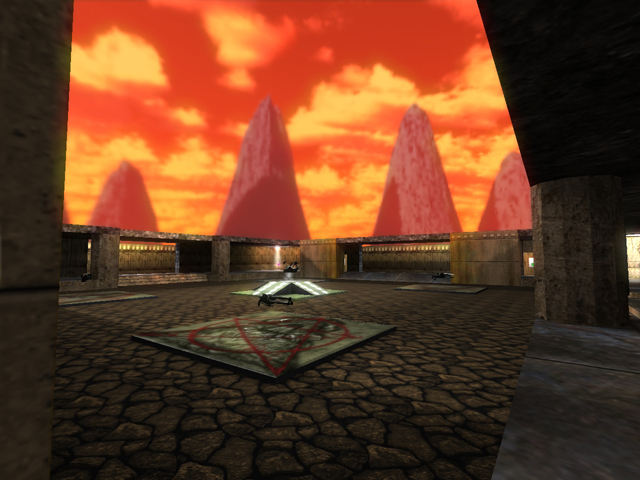 Dead Simple for AA 2009 - A remake of the classic Doom2 map07, complete with Doom textures to give it that authentic Doom feel. Megakill for AA 2009 - One great big frag fest! Mega Killbox is a brilliant re-working of the classic 3rd party "killbox" map. Rampage for AA 2009 - Two medium sized rooms, joined by a central and side corridor. 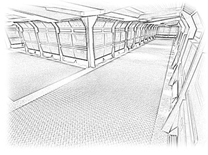 Each of the rooms contains ramps, and glass tubes. 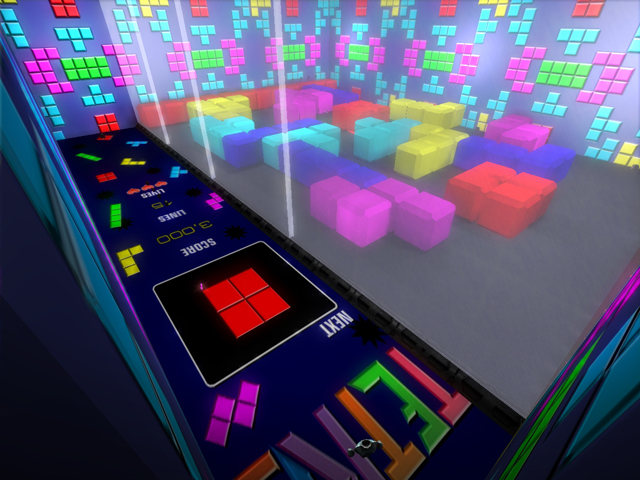 Tetrigib for AA 2009 - A fun fast paced fragfest in a real live tetris game! Well, not really, but it feels like it! Some boxes contain hidden items and explode! 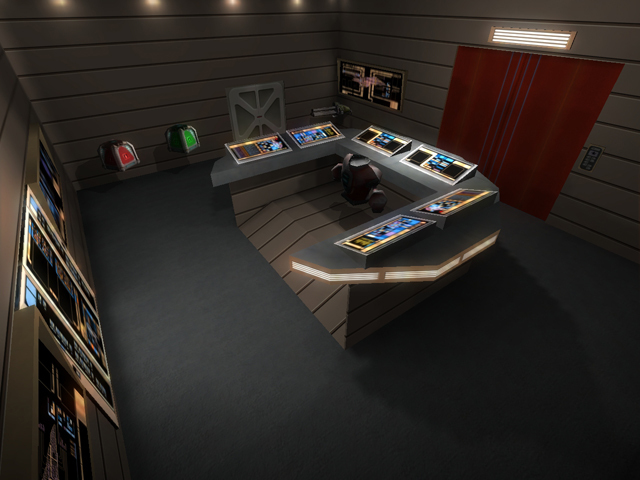 For Alien Arena 2009 - A shot of the beginnings of a new Star Trek Map. This is taken from inside one of the weapons lockers. 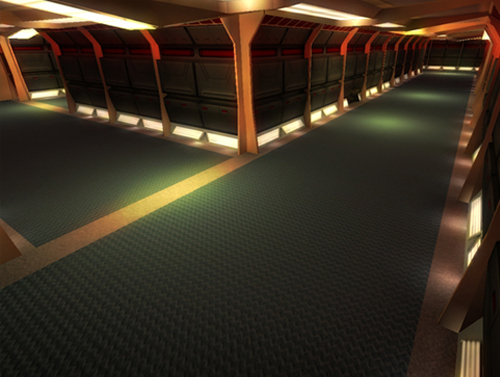 For Alien Arena 2009 - A shot of the beginnings of a new Star Trek Map. This is taken from one of the corridors. Every map needs to go through a few stages. Firstly, there is the idea. The idea is explained in detail to a 2D conceptual artist, who will sketch this idea onto paper. 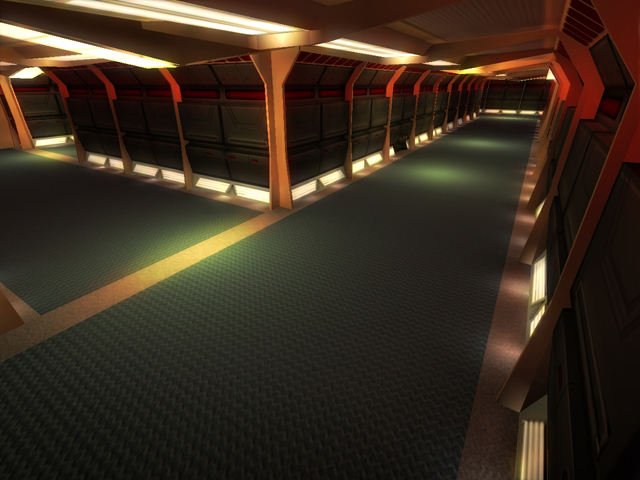 Once the map is structurally completed, the lighting is adjusted to ensure good sight, while keeping the feel and atmosphere of the level intact. 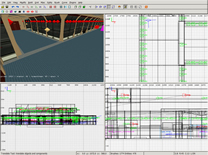 The map is then put through a number of compilations to test lighting conditions. 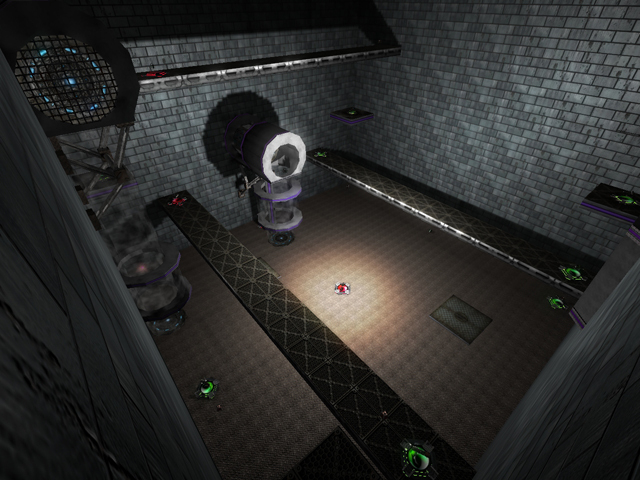 Finally, weapons and items are placed, and the map undergoes it's final compile, and is now ready to play!